Bafang Electric Bike Brake Mid Motor Brake Mid Motor Accessary Ebike Parts by Bafang at Joes V Cycle. MPN: Ebrake-MM. Hurry! Limited time offer. Offer valid only while supplies last. This brake will work with any cable actuated bike brake and when the brake is pulled the drive system PAS immediately shuts off ensuring your safety. 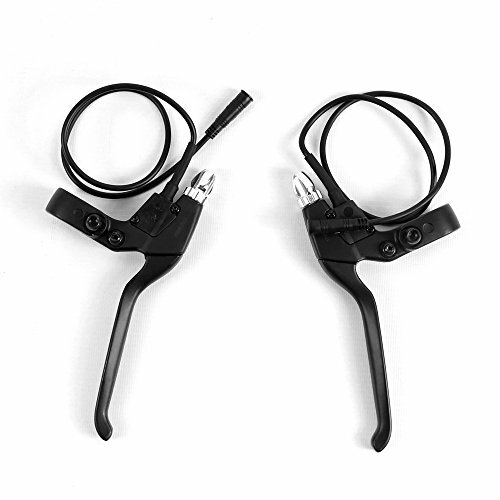 This brake will work with any cable actuated bike brake and when the brake is pulled the drive system PAS immediately shuts off ensuring your safety. Without ebrakes when you stop pedalling the drive unit will continue to turn and propel you for a second or two (depending on the programming). This can lead to the awkward situation of you using the brakes while the BBS02 is trying to propel you forward. This can compromise both your safety and the integrity of the drive unit as you should not power it while you are braking.